The most important attitude for financial success is long-term thinking. Successful people think a long way into the future and they adjust their daily behaviors to assure they achieve their long-term goals. In a longitudinal study done at Harvard University in the 50s and 60s, they studied the reasons for upward socioeconomic mobility. They were looking for factors that would predict whether or not an individual or family was going to move upward and be wealthier in the future than in the present. They studied factors like education, intelligence, being born into the right family, or having the right connections. In every case, they found individuals who had been born with every blessing in life who did poorly. They also found individuals who had been born or come to this country with no advantages at all who had been extremely successful. What was the distinguishing factor? They finally determined that there was only one key attitude that mattered. They called it "Time Perspective." 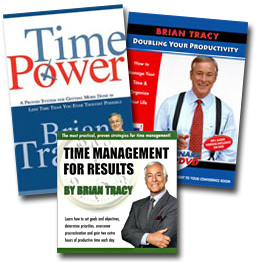 Time perspective refers to the amount of time that you take into consideration when planning your day to day activities and when making important decisions in your life. People with long-time perspective invariably move up economically in the course of their lifetimes. When you spend weeks, months and years developing your skills and ability and expanding your experience in order to be successful, you have long-time perspective. The average professional person has a time perspective of 10, 15 and 20 years. Begin to see that everything that you are doing today is part of a long-time continuum, at the end of which you are going to be financially independent or financially unfortunate. People with short-time perspective think only about fun and pleasure in the short term. They have what economists call "The inability to delay gratification." They have an irresistible tendency to spend every single penny they earn and everything that they can borrow. When you develop long-time perspective, you develop the discipline to delay gratification and to save your money rather than spending it. The combination of long-time perspective and delayed gratification puts you onto the high road to financial independence. First, think long-term about your financial life. Decide exactly how much you want to be worth five years, ten years and twenty years from today. Write it down. Make a plan. Take action on your plan every single day. Second, develop the ability to delay gratification. Instead of buying something on impulse, put off buying decisions for a day, a week or even a month. Decide in advance to "think it over" before you buy anything. This can change the way you spend money almost immediately.